Torino made it to the half way point of the season with their unbeaten away record still in tact as they drew 1-1 with Lazio on Saturday afternoon. As expected, Salvatore Sirigu and Koffi Djidji returned to the starting eleven, whilst Lorenzo De Silvestri was preferred to Ola Aina at right wing back. Toro had the first chance of the game, but former Lazio man De Silvestri saw his header from Cristian Ansaldi's cross come back off the post. At the other end, it was former Toro striker Ciro Immobile who almost opened the scoring, but he was denied by Salvatore Sirigu. On the stroke of half time, Toro were awarded a penalty when Adam Marusic pushed Andrea Belotti in the area. Belotti stepped up to take the penalty, and his powerful effort did enough to beat Thomas Strakosha. Torino should have doubled their lead early in the second half when the ball diverted into the path of an unmarked Lorenzo De Silvestri, but the wing back blazed his effort over the bar. It did not take long for Toro to be punished for that miss, as just after the hour mark, Sergej Milinkovic-Savic equalised with a sensational long range effort. It was proving not be De Silvestri's day as the defender hit the post again with a header, after first having a shot cleared off the line. The game had an ill tempered ending as both Adam Marusic and then Soualiho Meïté saw red as both sides had to make do with a point. 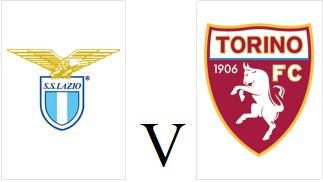 Torino travel to Rome on Saturday afternoon to face Lazio, hoping to cut the gap to their opponents, and the Champions League places, to only two points. Salvatore Sirigu has recovered from injury and is included in the squad, whilst Koffi Djidji should also replace Emiliano Moretti in defence. The home side have recently managed to come into good form, winning their last two matches after previously going five games without a win. Torino managed to win this fixture 3-1 last season, thanks in part to former Toro player Ciro Immobile being sent off before half time. Torino produced one of their most convincing performances of the season on Boxing Day as they beat Empoli 3-0 at the Stadio Grande Torino. As expected Iago Falque, Andrea Belotti and Simone Zaza all started in attack, whilst Lorenzo De Silvestri came back into the starting eleven. Andrea Belotti came closest to giving Toro the lead, but first he was denied by goalkeeper Ivan Provedel and then he was denied by the post. However, on the stroke of half time, Torino got the goal they deserved when Nicolas N'Koulou headed home from a corner. The Granata doubled their lead four minutes into the second half when Lorenzo De Silvestri fired into the top corner from outside the area with his weaker left foot. Torino then wrapped up the points thanks to another goal from outside the area, this time it was Iago Falque who fired a low drive into the net from distance. 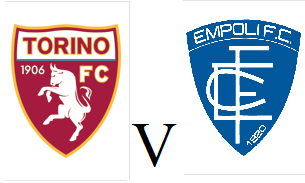 Torino will play their first match on Boxing Day since 1971 as they host Empoli hoping for their first win since the start of December. Salvatore Sirigu misses out again through injury, so Salvador Ichazo will retain his place in goal, whilst Emiliano Moretti or Lyanco could replace Koffi Djidji in defence. Newly promoted Empoli are currently clear of the relegation places, but have lost their last two games and have not won an away game all season. Torino had an injury time winner disallowed by VAR after conceding a late equaliser themselves in a 1-1 draw away to Sassuolo on Saturday afternoon. Salvador Ichazo started in place of the injured Salvatore Sirigu, whilst Iago Falque was only fit enough for a place on the bench, so Simone Zaza retained his place up front. It was Simone Zaza who had the best chance of the first half for Toro, as he was put through on goal by Andrea Belotti, but he was denied by home keeper Andrea Consigli. At the other end, Domenico Berardi somehow managed to miss from close range when it appeared easier to score. Torino took the lead ten minutes into the second half when Zaza returned the favour and played in Andrea Belotti who finished well from a difficult angle. However, Sassuolo equalised in injury time as Toro failed to clear a corner, and Enrico Brignola who took the set piece, was able to ghost in at the far post to head home. The drama was not yet over though, as Toro thought they had claimed a late winning goal after Iago Falque tapped in Ola Aina's low cross, but after an agonising wait and VAR referral it was disallowed due to Aina being offside. 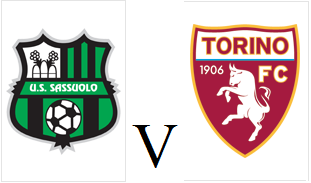 Torino will look to recover from last weekend's Derby Della Mole disappointment when they travel to Sassuolo on Saturday afternoon. Salvatore Sirigu will miss the trip following the back injury he suffered against Juventus, but Iago Falque has recovered from his own injury and is included in the squad. The home side have made a promising start to the season under former Foggia coach Roberto De Zerbi and are currently two points above the Granata in 8th place. Toro were dealt a blow as Iago Falque missed out through injury, so he was replaced upfront by Simone Zaza. Juventus had a great chance to take the lead however Cristiano Ronaldo's volley was tipped round the post by Salvatore Sirigu. Sirigu was struggling even to make that save after suffering an injury after a collision with Emre Can, and he was replaced in goal by Salvador Ichazo. At the other end, Andrea Belotti's clever knock back from a corner almost gave Armando Izzo a chance to score, but the ball was smothered by a combination of Juventus defenders and Mattia Perin. In the second half, Torino thought they should have had a penalty when Simone Zaza was clearly dragged back by Alex Sandro in the area. However, referee Marco Guida failed to consult VAR and waved play on. At the other end, Ichazo was proving to be an able deputy and made an excellent save to deny Blaise Matuidi from close range. However, the turning point occurred with twenty minutes remaining when Juventus were awarded a penalty after Ichazo upended Mario Mandzukic after Simone Zaza's weak back pass allowed the Croatian to intercept. Cristiano Ronaldo scored the penalty, but was then booked following an incident where he made contact with goalkeeper Ichazo as part of his celebration. Mario Mandzukic had a goal of his own disallowed for offside, but even that reprieve could not save Toro as they were unable to find an equaliser and fell to another derby defeat. Torino host city rivals Juventus in the 'Derby Della Mole' on Saturday evening, with the Granata hoping to give their fans the perfect Christmas present. 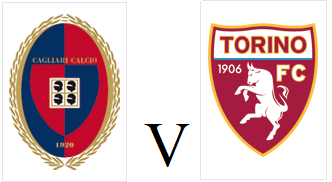 Toro's record in this fixture makes depressing reading for Torino fans, with only one victory since 1995 which came three years ago thanks to goals from Matteo Darmian and Fabio Quagliarella. Ola Aina may continue at right wing back, whilst Iago Falque picked up an injury in training so could miss out. Juventus' recent dominance of Italian football shows no signs of abating as they are currently eight points clear at the top of the Serie A table. Cristiano Ronaldo is expected to start and experience a Turin derby for the first time. 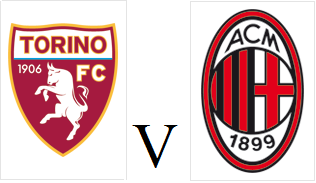 Torino maintained their unbeaten away record with a promising performance as they drew 0-0 with AC Milan on Sunday evening. Ola Aina was preferred to Lorenzo De Silvestri at right wing back whilst Daniele Baselli returned to the starting eleven in place of Simone Zaza. The Granata were continuing to create good chances and Andrea Belotti also should have scored after Tomas Rincon's cut back, but he blazed his volley over the bar. Belotti came close once again with a low shot from outside the area that deflected narrowly wide of the post. The home side had the better of the second half, and should have taken the lead in the dying moments of the game, but Patrick Cutrone somehow curled his shot off target from close range. However, that would have been harsh on Toro, who more than deserved their point. Torino will travel to the San Siro on Sunday evening hoping to maintain their unbeaten away record this season. The three games the Granata have lost this season have all been on home soil, and Walter Mazzarri is expected to revert back to the system that worked well in Torino's best performance of the season at Sampdoria, with Iago Falque slightly behind Andrea Belotti in a 3-5-1-1 formation. AC Milan have a defensive crisis at the moment, so former Toro loanee Ignazio Abate could feature as an auxiliary centre back. The home side have been in good form at the San Siro, winning four of their last five games, with the only defeat coming against Torino's local rivals Juventus. A much changed Torino team progressed to the last 16 of the Coppa Italia with a narrow 2-0 victory over Serie C side Südtirol. Walter Mazzarri made ten changes from the team who beat Genoa in Serie A, with Simone Zaza the only player to keep his place. Toro took the lead mid-way through the first half thanks to Roberto Soriano's low drive, that took a slight deflection to wrong-foot goalkeeper Daniel Offredi. Torino failed to capitalise on their dominance in the second half, and were almost punished when the visitors had a goal wrongfully disallowed for offside. However, that scare seemed to awaken the Granata who finally doubled their lead with ten minutes remaining through Simone Edera's nice finish. Torino came from behind to claim a vital three points as they beat 10 men Genoa 2-1 on Sunday afternoon. Walter Mazzarri urged for Toro to make a positive start in Saturday's pre match press conference, and stayed true to his word by naming an attacking starting eleven. Iago Falque, Simone Zaza and Andrea Belotti started together for the first time, whilst Tomas Rincon returned from suspension in midfield. Toro did make a bright start, with Cristian Ansaldi a constant threat on the left wing, but it was Genoa who had the first chance of the game on the counter attack when Krzysztof Piątek hit the post. The Granata responded well and Andrea Belotti went close with a glancing header that went narrowly wide of the post. The game changed when former Hellas Verona player Romulo was sent off for Genoa, after the Brazilian received two yellow cards in the space of just three minutes. However, it was Genoa who took the lead despite their numerical disadvantage as Christian Kouame took advantage of some terrible Toro defending from a corner to poke home. In first half injury time, Torino equalised thanks to Cristian Ansaldi's excellent volley from outside of the area. Incredibly, straight from the kick off, Toro regained the ball and won a penalty when Iago Falque was upended in the area by former Tottenham midfielder Sandro. Andrea Belotti stepped up to score the penalty to give the Granata a surprising half time lead. The Granata had chances to increase their margin of victory in the second half, but goalkeeper Ionut Radu made two good saves to deny Andrea Belotti. Torino held on to secure an important, albeit unconvincing victory that moves them up to 6th place in the Serie A table. 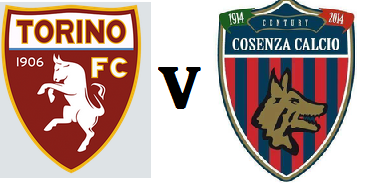 Torino host Genoa on Sunday afternoon looking for a first home victory since a 3-2 win over Frosinone in early October. Coach Walter Mazzarri has recovered from illness and will be back on the bench, whilst Tomas Rincon is now available following suspension. Rincon is one of a number of former Genoa players currently in the Toro squad, alongside Armando Izzo, Cristian Ansaldi and Iago Falque who will all be hoping to start the game. Genoa are without a victory in their last seven Serie A games, however, they have already achieved one surprise result in Turin this season, as they drew 1-1 with Juventus two months ago. 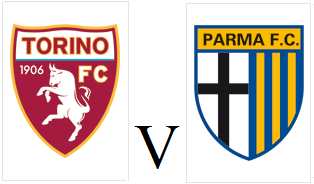 Torino face Parma on Saturday afternoon at the Stadio Grande Torino looking to extend their current six game unbeaten record. Soualiho Meïté is suspended so Sasa Lukic or Roberto Soriano should deputise, otherwise Walter Mazzarri is likely to pick the same team who thrashed Sampdoria last weekend. Parma have made a good start to life back in Serie A following promotion in the summer, and are only three points behind the Granata. However, they have failed to win any of the last three games - including two defeats. Torino produced their best performance of the season as they thrashed Sampdoria 4-1 at the Stadio Luigi Ferraris on Sunday afternoon. Walter Mazzarri named an unchanged team to the eleven who drew against Fiorentina last time out, and the Granata made a perfect start. After only twelve minutes, Lorenzo De Silvestri delivered an inch perfect cross that was headed home by Andrea Belotti, who had previously not scored from open play since August. Gianluca Caprari thought he had equalised for the home side, but his curling effort went narrowly wide of the post. On the stroke of half time, Toro were awarded a penalty when Belotti was clearly upended in the area by Samp goalkeeper Emil Audero. The Torino captain stepped up to take the penalty himself, and scored to double the Granata's lead. Torino added a third goal just ten minutes into the second half, as the excellent De Silvestri crossed for Ola Aina, and the Nigerian headed the ball back for Iago Falque to volley home. Sampdoria were gifted a lifeline when Daniele Baselli fouled Dennis Praet in the area, and although Fabio Quagliarella's penalty was saved by Salvatore Sirigu, the former Toro striker kept calm to convert the rebound. However, any nerves from Torino supporters were settled with twelve minutes remaining as former Genoa defender Armando Izzo scored his first goal for the club from a corner to seal an impressive victory. 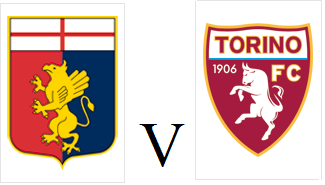 Torino will travel to Genoa to face Sampdoria on Sunday afternoon, knowing that a victory could put them into the top six. Cristian Ansaldi has recovered from injury so has been included in the squad, whilst Roberto Soriano may not start, but could face his former team off the bench. 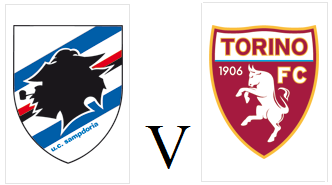 Sampdoria are currently two places and one point above Toro, but have only won one of their last four home games. Torino made it five games unbeaten as they came from behind to draw 1-1 with Fiorentina at the Stadio Grande Torino on Saturday evening. Ola Aina came back into the team in favour or Alex Berenguer, whilst Koffi Djidji was once again preferred to Emiliano Moretti. Toro made the worst possible start, and were behind after only two minutes as statuesque from Lorenzo De Silvestri saw the ball ricocheted into the path of former Torino midfielder Marco Benassi who finished well. However, Torino responded well and were level ten minutes later when Ola Aina's shot hit the post, then the unfortunate Alban Lafont and into the net. 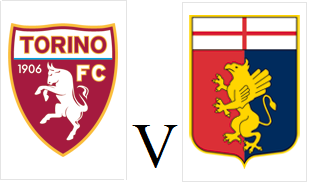 Torino had an excellent chance to take the lead in the second half, but Iago Falque's well hit shot from outside the area was well saved by Lafont. At the other end, Giovanni Simeone and Kevin Mirallas both had chances to win the game for Fiorentina, but Salvatore Sirigu was able to deny them both and the game ended level. Torino host Fiorentina on Saturday evening looking to make amends from the collapse against Bologna that cost them two points. Lyanco has been included in the squad for the first time since December following injury, whilst Simone Zaza could start in favour of Andrea Belotti, who is without a goal from open play since the end of August. Fiorentina are above Toro in the Serie A table, but of their fourteen points they have gained this season, only one has been gained away from home. Torino threw away a 2-0 lead as some dreadful defending cost the Granata a victory in Bologna on Sunday afternoon. Lorenzo De Silvestri and Iago Falque returned to the starting eleven following injury, whilst Koffi Djidji was surprisingly preferred to Emiliano Moretti in defence. Toro took the lead after fourteen minutes when Iago Falque scored a sensational goal from twenty-five yards out, despite seemingly being off balance after pressure from Filip Helander. Soualiho Meite had a chance to double Torino's lead, but his curling effort went narrowly over the bar. However, ten minutes into the second half, Torino did get a second goal when Iago Falque dispossessed Adam Nagy and set up Daniele Baselli to score. However, the home side reduced the deficit just five minutes later when Federico Santander reacted quickest after Mitchell Dijks' header hit the post. Bologna then equalised thirteen minutes from time when Salvatore Sirigu's poor clearance was intercepted by Arturo Calabresi, who then broke through some weak Toro challenges to score. Toro were unable to find a winner, and were made to settle for a point which considering the performance in the first hour, was very disappointing. Torino travel to Bologna on Sunday afternoon knowing that a third consecutive Serie A victory could take them into the top six. Lorenzo De Silvestri has returned from injury so could return to the starting eleven, whilst Vittorio Parigini could start after an impressive substitute appearance against Frosinone before the international break. Bologna started the season poorly, failing to win any of their opening four games, but back to back home victories against Roma and Udinese have increased optimism. Alex Berenguer scored an excellent goal to spare Torino's blushes as they almost squandered a 2-0 lead against Frosinone. Daniele Baselli and Simone Zaza both returned to the starting eleven as Torino were looking for a second consecutive victory. Andrea Belotti almost gave Toro the lead in the early stages, but his low shot rebounded off the post, however the Granata did not have long to wait for their first goal. On twenty minutes, Simone Zaza's clever assist set up Tomas Rincon, and the Venezuelan fired home a low shot from outside the area. Toro doubled their lead just a minute into the second half, when Zaza's initial shot was saved by Marco Sportiello, Daniele Baselli was on hand to score. However, just before the hour mark, Frosinone had a lifeline as Edoardo Goldaniga bundled home from a corner. Toro were furious that the goal was allowed to stand, as the home side felt Salvatore Sirigu had been fouled in the build up. Moments later, Frosinone were level, as shambolic defending allowed Camillo Ciano to head home Joel Campbell's cross. Walter Mazzarri responded immediately by bringing on Vittorio Parigini, and the youngster made an immediate impact, as his cross caused havoc in the Frosinone defence. The ball eventually fell to Alex Berenguer who curled home from just outside the penalty area to give Toro the lead. Torino held on for a crucial three points, although the manner of the performance was a little concerning. 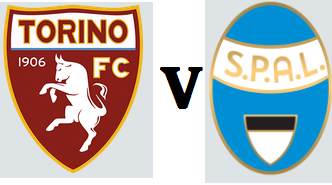 Torino will look for consecutive victories when they host Frosinone at the Stadio Grande Torino on Friday night. Toro have still not scored a first half goal this season, and will look to change that statistic against Frosinone who are yet to win since gaining promotion to Serie A in the summer. Lorenzo De Silvestri is injured after picking up an injury against Chievo, so Alex Berenguer and Ola Aina should start as wing backs, whilst Simone Zaza could start after scoring the winner in the same game. Frosinone are coached by former Torino player and Primavera coach Moreno Longo, who is sure to get a warm reception from the Toro supporters. 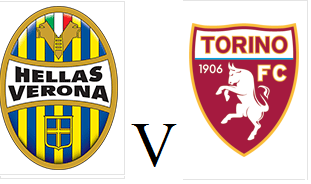 Torino will travel to Verona on Sunday afternoon looking for their second win of what has been a disappointing start to the season. 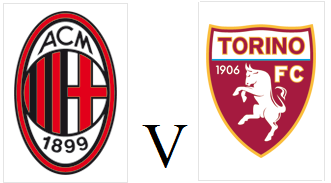 The Granata have only managed two points from their last three matches, with the performances against Napoli and Atalanta perhaps Toro's most disappointing of the season so far. Emiliano Moretti is expected to return to the starting eleven, whilst Iago Falque has been included in the squad after injury. The home side have yet to win this season, and after having been deducted three points at the start of the season for false accounting, Chievo are currently bottom of the table on -1 points. Torino maintained their unbeaten away record as they held on for a point against Atalanta on Wednesday afternoon. Vittorio Parigini was the shock inclusion in the Torino starting eleven, as the youth team product made his first start for the Granata, whilst Koffi Djidji replaced Emiliano Moretti in defence to make his debut. Papu Gomez had the first chance of the game for the home side, but the Atalanta captain curled his shot wide of the target. Torino's best chance of the first half fell to Vittorio Parigini, however, the youngster could only hit the side netting. 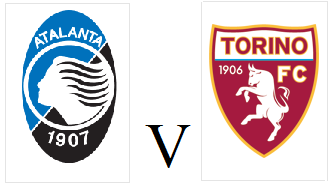 Atalanta started the dominate the second half, with Duvan Zapata and Rafael Toloi both missing good chances. Salvatore Sirigu, Torino's best player so far this season, made another great save to deny Papu Gomez and earn Toro a point. Torino will look to respond quickly from the disappointing defeat against Napoli when they face Atalanta on Wednesday evening. Lorenzo De Silvestri is fit enough to be included in the squad, but may not start, whilst Roberto Soriano may return to the starting eleven. Atalanta have had a disappointing start to the season after their surprise Europa League elimination, whilst in Serie A, they have lost to Cagliari and SPAL in recent weeks. However, they did score an injury time equaliser against AC Milan on Sunday evening to earn a point. 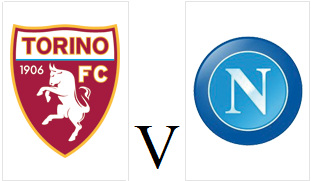 Torino will look to earn their second victory of the season when they host Napoli early on Sunday afternoon. The Granata have a number of injury issues, with Lorenzo De Silvestri and Iago Falque picking up knocks in the draw at Udinese last Sunday. Ola Aina should return to the starting eleven, whilst Simone Zaza will finally start his first game for the club. Napoli have won three of their four games so far this season, but there sole defeat was a surprise 3-0 loss at Sampdoria in their last away game. Torino once again suffered a VAR controversy as Alex Berenguer had a goal wrongly disallowed in a 1-1 draw at Udinese. With Ola Aina not fit enough to start the game, Berenguer started at left wing back, whilst Daniele Baselli was preferred to Tomas Rincon in midfield. After twelve minutes, Toro had a goal disallowed when Berenguer headed past Simone Scuffet, but replays showed the Spaniard was onside. However, as referee Paolo Valeri had already blown his whistle, it was not possible to refer to VAR. Lorenzo De Silvestri had a great chance to give Toro the lead, but he fired his shot wide of the far post. Udinese took the lead just before the half hour against the run of play after a counter attack and Rodrigo De Paul's long range effort deflected off Nicolas N'Koulou and past Salvatore Sirigu. Andrea Belotti should have equalised before half time, but the Toro captain was unable to connect with a volley when well placed. Torino were on level terms four minutes after half time, when midfielder Soualiho Meïté scored his second goal for the club with an excellent left footed strike from outside the area. Substitute Ola Aina had Toro's best chance to win the game, but he blazed his shot over the bar after a promising run, and the Granata had to settle for a point. Torino will look to make it back-to-back victories when they travel to face Udinese on Sunday afternoon. Ola Aina is included in the squad following injury, but if he is not fully fit, Vittorio Parigini could make his first appearance for the club. 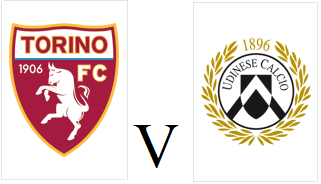 Udinese have made a similar start to Torino, earning four points from their opening three games, with their only victory being a 1-0 home win against Sampdoria. Torino won their first Serie A game of the season with a narrow 1-0 victory in a rain-affected game against SPAL. As expected, Ola Aina made his first start for the Granata, whilst Simone Zaza had to make do with a place on the bench once again. Andrea Belotti had Torino's first chance, but he was denied by former Toro keeper Alfred Gomis at the near post. After seventeen minutes, the match was suspended as the torrential rain in Turin made the pitch virtually unplayable. As the rain stopped, the match resumed an hour later, and Toro should have found themselves behind when Andrea Petagna found space in the area, but the former Atalanta man curled his shot wide of the target. Toro took the head in the early stages of the second half, as Roberto Soriano's excellent cross was headed home by Nicolas N'Koulou. Salvatore Sirigu continued his fine start to the season by saving Mohamed Fares' free kick that had almost managed to evade every player in the box. Simone Zaza finally made his debut in a Torino shirt, and should have had a first goal, but rushed his shot when well placed. However, Toro held on for a crucial first victory, and although not a classic performance, given the difficult stop-start nature of the contest, this was perhaps understandable. Torino will look to earn their first Serie A victory of the new season when they host SPAL on Sunday evening. It has been a busy week for the Granata, with both M'Baye Niang and Adem Ljajic leaving the club on loan. Daniele Baselli has recovered from injury, so could replace Roberto Soriano in the starting eleven, whilst Ola Aina should make his first start for the club after impressing after replacing the injured Cristian Ansaldi against Inter. SPAL have made a perfect start to the Serie A so far after narrow victories against Bologna and Parma. The winning goals in both of those games were scored by former Toro players, Jasmin Kurtic and Mirco Antenucci - whilst goalkeeper Alfred Gomis, who has kept two clean sheets, is also a former Granata player. Torino will look to end the season on a high when they face Genoa on the final day of the 2017/18 Serie A season on Sunday. Adem Ljajic picked up an injury in training so will miss out, but Alex Berenguer should deputise after impressing as a substitute in the victory against SPAL. Genoa are in poor form and have lost four of their last five matches, however they have not lost at home to Torino since 1981. Torino came from a goal behind to beat SPAL and win their first game since April in their last home game of the season. Emiliano Moretti returned from suspension, whilst Andrea Belotti and Iago Falque both returned to the starting eleven. Iago Falque had Toro's first chance, but his long range shot was tipped over the bar by former Toro keeper Alfred Gomis. Against the run of play, the away side took the lead after twenty-two minutes, thanks to Alberto Grassi's low shot from distance. In the second half, Gomis was continuing to deny his former team as he made excellent saves to deny Andrea Belotti and substitute Alex Berenguer. However, Toro finally got their deserved equaliser with twenty minutes remaining as Berenguer crossed for Belotti to score. With three minutes remaining, Toro got their winner as Andrea Belotti crossed for Lorenzo De Silvestri who continued his fine goal scoring form to claim all three points. Torino host SPAL in their final home game of the season, knowing that they are guaranteed a top 10 Serie A finish. Genoa's defeat last night means Toro cannot be caught in 10th place, although to improve on that finish, Torino would have to win their two remaining games and hope Sampdoria lose their next two games. Toro coach Walter Mazzarri is hoping for a positive end to the season to build momentum for the next campaign, so should stick with a strong line up. SPAL are desperate for points to retain their Serie A status, and despite consecutive victories over already relegated Hellas Verona and Benevento, they are only 2 points clear of the bottom 3. Torino twice came from behind to earn an impressive point against Napoli at the San Paolo on Sunday afternoon. Andrea Belotti started on the bench as M'Baye Niang was preferred up front, whilst Kevin Bonifazi replaced the suspended Emiliano Moretti in defence. Napoli took the lead in farcical circumstances after twenty five minutes, as Nicolas Burdisso lingered on the ball in his own area, and was caught in possession by Dries Mertens who ended his long goal drought to score. Toro equalised against the run of play ten minutes into the second half, as Daniele Baselli's shot took a big deflection and went past Pepe Reina in the Napoli goal. The home side regained the lead with less than twenty minutes remaining as substitute Marek Hamsik thumped home a volley from just outside the area. However, Adem Ljajic's cross was headed home by Lorenzo De Silvestri to earn Toro an unlikely point. Torino will be looking to end the Serie A campaign on a high when they face Napoli on Sunday afternoon. 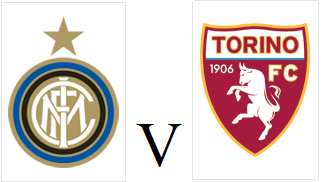 Toro's form has dipped recently and have not won since a 1-0 victory against Inter a month ago, and will still be hoping to clinch a top 10 finish. When Napoli beat Juventus in Turin a fortnight ago, it seemed that this match could be crucial in the Scudetto race. 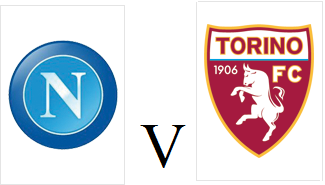 However, after defeat to Fiorentina last weekend, a Napoli defeat would hand Toro's rivals another Serie A title. Torino are without a win in four games as they fell to defeat against Champions League chasing Lazio on Sunday night. Salvatore Sirigu made a great save to deny Alessandro Murgia in the opening stages, who scored in this fixture last season. Lorenzo De Silvestri almost scored against his former team, but he was denied by Lazio goalkeeper Thomas Strakosha. Lazio were awarded a penalty when Sergej Milinkovic-Savic was upended by Nicolas N'Koulou, however, Luis Alberto's penalty was saved by Salvatore Sirigu. Sirigu was continuing to perform heroics in the Torino goal, as he produced a magnificent save to deny Lucas Leiva. However, from the resulting corner, Milinkovic-Savic headed home to give Lazio a deserved lead. Lazio had numerous chances to extend the lead against a Toro team who lacked any quality and honestly looked as though they couldn't wait for the season to be finished - a worrying trait with three games remaining. 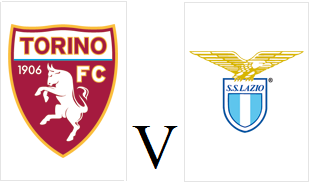 Torino will be hoping to end the season on a high when they face Lazio at the Stadio Grande Torino on Sunday evening. With Toro's chances of European football qualification virtually over, Walter Mazzarri may choose to give a few youngsters an opportunity, and Eric Ferigra, Ndari Adopo and Ben Lhassine Kone are all included in the squad. Elsewhere, Lorenzo Des Silvestri and Daniele Baselli have returned from suspension, whilst Iago Falque is now fully fit. Lazio are still hopeful of qualifying for next season's Champions League, and a victory would put them four points clear of Inter in 5th. Torino's slim hopes of Europa League qualification ended on Sunday afternoon following a 2-1 defeat to Atalanta. Following a number of injuries and suspensions, Walter Mazzarri was forced into a number of changes, with Kevin Bonifazi starting at right back, Afriyie Acquah in midfield, and Simone Edera up front. The home side dominated the first half, and Toro were grateful for Salvatore Sirigu who made two good saves to deny Musa Barrow. Atalanta took the lead eight minutes into the second half as Barrow turned provider for Remo Freuler to head home. Toro were level three minutes later as Simone Edera's excellent pass found Adem Ljajic who finished well past Etrit Berisha. However, with twenty five minutes remaining, Atalanta regained the lead as Timothy Castagne crossed for Robin Gosens to score from close range. Toro were unable to find an equaliser and are now seven points away from the final Europa League position and can start to look towards next season. Torino travel to Bergamo on Sunday afternoon knowing that they must return with three points to have any chance of qualifying for Europe. This task is made harder by a number of suspensions and injuries, as Lorenzo De Silvestri, Antonio Barreca, Daniele Baselli, Joel Obi and Iago Falque are all unavailable. This means that Walter Mazzarri has had to included Primavera players Alessandro Fiordaliso, Ndari Adopo, Ben Lhassine Kone and Karlo Butic for the trip to Atalanta. Atalanta currently occupy 7th place which should almost certainly be enough for Europa League qualification, and Toro could close the gap to just two points should they emerge victorious. Torino fought back to earn a well deserved point against AC Milan on Wednesday night, but arguably should have won the game. Walter Mazzarri stuck with the same team who drew with Chievo in the previous match, as Adem Ljajic, an injury doubt, was declared fit. Toro made a lively start and were awarded a penalty inside two minutes, as Franck Kessie was penalised for tripping Cristian Ansaldi in the area. Captain Andrea Belotti stepped up to take the penalty, but saw his effort crash off the bar. That was the third penalty that Torino have missed against AC Milan in their last four matches, with Belotti also missing at the San Siro last season. Torino were made to pay for that miss, as just moments later, Giacomo Bonaventura opened the scoring with a sublime half volley from distance. Toro's best chance at an equaliser in the first half was when Iago Falque blazed over the bar when trying to divert Cristian Ansaldi's wayward effort. With twenty minutes remaining, Toro did get the equaliser that their play deserved as Lorenzo De Silvestri headed home an Adem Ljajic corner. The Serbian was almost the match-winner in the dying moments, as despite slipping before striking the ball, Ljajic poked a shot towards goal that forced an outstanding save from Gianluigi Donnarumma. Lorenzo De Silvestri's night ended on a sour note as he was sent off after receiving a second yellow card for fouling Ricardo Rodriguez. AC Milan then almost won it in the dying seconds, as former Toro man Ignazio Abate's long range shot clipped off the post, but that would have been harsh on the Granata and the game ended level. Torino will look to keep their slim Europa League hopes alive when they face AC Milan at the Stadio Grande Torino on Wednesday evening. M'Baye Niang has returned to the Granata squad and could face his former team, whilst Kevin Bonifazi, Antonio Barreca and Joel Obi could come into the team that started the draw against Chievo. AC Milan look rejuvenated under the management of Rino Gattuso, however they have not won in four Serie A games, drawing the last three. Torino were unable to win a fourth consecutive match on Saturday evening as they were held to a 0-0 draw with Chievo on Saturday afternoon. Walter Mazzarri made just one change, as Tomas Rincon returned from suspension and came straight back into the starting eleven at the expense of Joel Obi. Nicolas Burdisso almost had an embarrassing moment, just days after his 37th birthday, as his back header almost looped over Salvatore Sirigu, but the former PSG goalkeeper was able to prevent an own goal. At the other end, Cristian Ansaldi bamboozled the home defence and was unlucky to see his left footed shot rebound off the post. Andrea Belotti also had a great chance for the Granata, but the Toro captain dragged his shot wide of the target. In the second half, Mattia Bani headed over the bar from a set piece as Chievo started to threaten the Toro goal. Fabrizio Cacciatore also managed to somehow blaze over the bar after Salvatore Sirigu failed to claim a cross. In the dying minutes, Mattia Bani received a straight red card for a late challenge on substitute Kevin Bonifazi. However, Toro could not make the numerical advantage count and were forced to settle for a point. Torino travel to Verona in search of a romantic story of their own, as they look for a fourth consecutive victory to stay in race for Europa League qualification. Tomas Rincon has returned from suspension, although Adem Ljajic is a doubt and could miss out through injury. Opponents Chievo are in a relegation battle this campaign and are only two points above the bottom three. However, they have won two of their last three home matches, including a surprise win over Sampdoria so will be tough opposition. Torino won successive games for only the second time this season following a convincing 4-1 victory over Crotone. Kevin Bonifazi made his first start of the season, whilst Adem Ljajic made his first start under Walter Mazzarri's management. Toro took the lead after only sixteen minutes when captain Andrea Belotti found the net from a corner, despite Alex Cordaz saving his initial effort. The Granata doubled their lead four minutes later as Iago Falque finished well from just outside the area. Torino added a third goal ten minutes before half time, as Adem Ljajic's excellent free kick was diverted goal wards by Andrea Belotti. Crotone should have had a goal back before half time, but Simy's close range header hit the bar. With twenty minutes remaining, Andrea Belotti completed his hat trick following a cool finish after an assist by Iago Falque. Toro were denied consecutive 4-0 victories in the dying seconds, as Nicolas Burdisso's missed interception allowed Davide Faraoni to score. 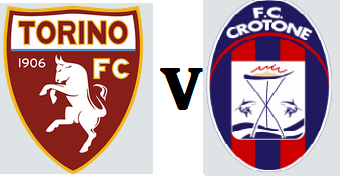 Torino will face Crotone on Wednesday evening looking for back to back victories for only the second time this season. Toro's inconsistent campaign is highlighted by the fact the Granata have not won consecutive Serie A games since September, and that was only thanks to Iago Falque's injury time winner at Benevento. Despite losing four of their last five matches, Toro could move to within five points of the final Europa League spot with a victory. Nicolas N'Koulou has recovered from the injury that forced him off at half time against Cagliari, whilst Adem Ljajic is in line to make his first start under Walter Mazzarri. Like Toro, Crotone have lost four of their last five, although that win was an impressive 4-1 victory against Sampdoria who currently occupy the final European place. Torino ended a run of four successive defeats with a surprise 4-0 victory over Cagliari on Saturday afternoon. The Granata lined up in a 3-5-2 formation for the first time this season , with Iago Falque supporting Andrea Belotti in attack. Toro had the first chance of the match, but Daniele Baselli somehow missed the target from close range after good work from Tomas Rincon. At the other end, Alessandro Deiola should have given the home side the lead but he blazed over the bar from close range. Former Juventus man Simone Padoin should have done better when through on goal, but he was denied by Salvatore Sirigu. The turning point arrived ten minutes after half time as Adem Ljajic replaced Afriyie Acquah and Toro switched to a more adventurous 3-4-1-2 formation. The impact was almost immediate as Andrea Belotti inadvertently set up Iago Falque to score, after the Toro captain's own shot hit the post and then ricocheted off him and into the path of Falque. 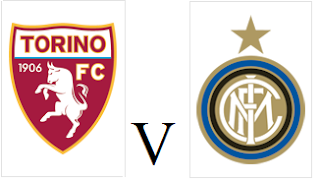 That bit of luck is what Toro had been missing in recent weeks, and Ljajic soon added a second with a smart finish. Cristian Ansaldi added a third as the Argentine scored his first Toro goal from just inside the area, whilst Andrea Belotti set up substitute Joel Obi to score a VAR assisted fourth goal in the dying moments. 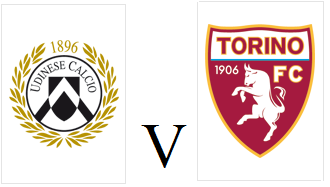 After four successive defeats, Torino travel to Sardinia to face Cagliari desperately in need of a victory. Walter Mazzarri is expected to change to a 3-5-2 formation to improve the Granata's fortunes, whilst Daniele Baselli should return to the starting eleven following illness. Cagliari are safely in mid table and should have no worries about a relegation battle, despite having only won one of their last five Serie A games, which was a fortnight ago against Benevento. The atmosphere in the Stadio Grande Torino on Sunday afternoon was a strange one, even before the match with Fiorentina kicked off. The fixture against Fiorentina is usually a surreal match, and has been described as a 'festival of friendship' due to the gemellaggio (twinning) between the two sets of supporters due to their mutual dislike of Juventus, never has the saying 'the enemy of my enemy is my friend' been more apt. However, the atmosphere on Sunday was different. 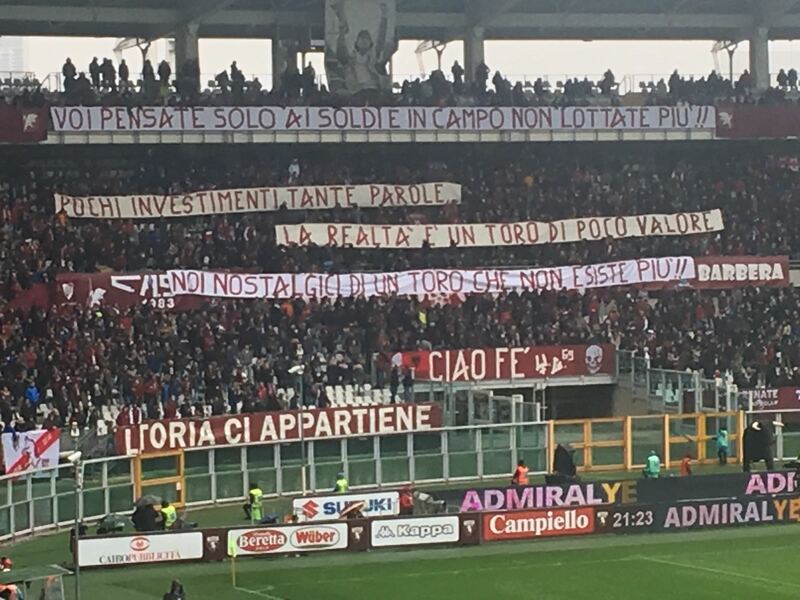 This was in part due to the tragic death of Fiorentina captain Davide Astori two weeks ago, which meant that there was a sombre mood around the stadium, and Torino ultras paraded a 'ciao Davide' banner before kick off that was well received by the travelling Fiorentina supporters. There was also seeds of discontent amongst the home supporters who were unhappy at how their season has derailed in recent weeks. After a promising start to Walter Mazzarri's reign as Toro coach, where the Granata picked up an impressive eleven points out of a possible fifteen the Granata had lost three consecutive games prior to this match. Mazzarri's unbeaten record as Toro coach ended with a 1-0 home defeat to Juventus in mid-February, and despite their impressive form, the timid performance of Torino in that match was heavily criticised. Former Torino striker Marco Ferrante questioned the teams 'courage' as the players almost seemed content with a narrow defeat in a match that is, for the supporters at least, the most important of the season. 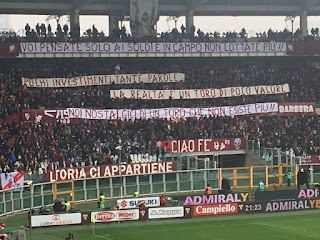 Defeats against Hellas Verona and Roma followed and the Torino supporters unveiled a number of banners criticising both the players and club ahead of the Fiorentina match. 'You only think about money and on the pitch you don't fight anymore' one of the banners read and the team were greeted onto the pitch with whistles and jeers at the beginning of the second half after a disappointing first half performance. Whilst I was in total agreement with her, I could also understand the frustrations of the Toro supporters who had decided to protest. Toro currently find themselves in Serie A purgatory, where they are not good enough to qualify for Europe but are also too good to find themselves in a relegation battle, so they find themselves in mid-table, with little to aim for. Supporters would probably accept mid-table mediocrity as long as it was combined with entertaining football, young talents being given opportunities and the odd impressive victory over top six opponents, however, Toro have not been able to provide this either. Talented youngsters such as Kevin Bonifazi, Antonio Barreca and Simone Edera are having their progress stifled by more experienced players who continue to under perform. In addition, Toro have also only beaten one top ten opponent all season, and that was a Lazio team who had Ciro Immobile harshly sent off before half time. Whilst teams with similar wage budgets such as Atalanta and Sampdoria are troubling the established elite, Toro are left wondering what might have been. When Sinisa Mihajlovic was sacked in January and replaced by Walter Mazzarri, this was seen as a move to try and re-energise the clubs target of European football. However, Torino did not reinforce their squad at all in the January transfer window, despite there being obvious areas in which improvement was needed. It is fair to say that luck has also not been on Toro's side this season, captain Andrea Belotti has struggled to replicate last season's excellent form and has suffered with a number of injuries. As has promising Brazilian defender Lyanco who has rarely been able to partner the outstanding Nicolas N'Koulou in the heart of the Toro defence. Speaking of whom, the Cameroon international has been a rare positive in this disappointing campaign, and sporting director Gianluca Petrachi must prioritise retaining his services on a permanent basis in the summer. After another disappointing performance on Sunday, Toro fell to a fourth consecutive defeat to all but end their chances of European qualification, and if performances do not improve, the protests may not end there. Torino produced their worst performance of the season as they fell to a fourth consecutive defeat at home to Fiorentina. Walter Mazzarri made one change from the team who were beaten at Roma as Mirko Valdifiori replaced Daniele Baselli who missed out with flu. It was a chaotic opening few minutes, as Fiorentina were awarded a penalty when Giovanni Simeone went down in the area under a challenge from Emiliano Moretti, however this decision was reversed after consulting VAR. However, moments later, Fiorentina were awarded a penalty, as Lorenzo De Silvestri handled Cristiano Biraghi's shot. Despite initially being turned down by referee Claudio Gavillucci, the Viola's appeal went to VAR and they were eventually awarded a penalty. However, Salvatore Sirigu saved Jordan Veretout's weak effort. Toro were struggling to get going and create chances, although Nicolas N'Koulou did have a half chance from a corner. Fiorentina took the lead on the hour mark as Afriyie Acquah lost the ball in his own half and Jordan Veretout atoned for his earlier penalty miss by curling the ball past Sirigu. Adem Ljajic came on to make a rare appearance as a substitute to try and create an equalise, and the Serbian did just that. Five minutes before full time, Ljajic's clever free kick was converted by Andrea Belotti to equalise for Toro. However, the drama did not end there, and in injury time, another handball decision went to VAR after initially being turned down by Gavillucci who was having a miserable afternoon. VAR adjudged that Cristian Ansaldi did handle Biraghi's cross and Fiorentina were awarded their second penalty of the game. Substitute Cyril Thereau made no mistake and converted the spot kick to earn Fiorentina all three points and to finally end Toro's hopes of European qualification, with the Granata now eight points away from 7th place with only ten games remaining. 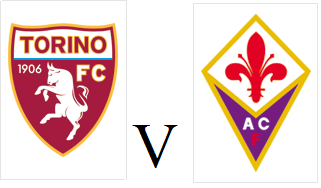 Torino will try and end a run of three successive defeats when they face Fiorentina on Sunday afternoon. 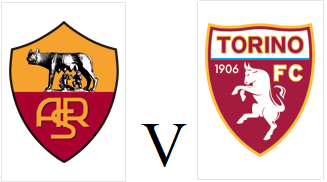 Toro had an improved performance in their last match against Roma, particularly in the first half, but were disappointing after conceding the first goal. M'Baye Niang could return to the starting eleven, whilst Nicolas Burdisso has returned from suspension. This fixture is bound to be an emotional affair, following the tragic death of Fiorentina captain Davide Astori only two weeks ago. Fiorentina come into this match in good form, having won three of their last five games, including a narrow 1-0 victory over Benevento last weekend. Torino lost a third successive game as they fell to a 3-0 defeat against Champions League contenders Roma on Friday night. Alex Berenguer and Daniele Baselli both came into the starting eleven, in place of M'Baye Niang and Joel Obi. Toro were the better side in the first half, and Roma keeper Alisson had to make a great save to tip Iago Falque's low shot round the post. Falque then turned provided as his excellent cross found Andrea Belotti, he somehow blazed the ball over the bar. The Granata were continuing to create chances, as they recovered the ball inside the Roma half and Afriyie Acquah forced another save out of Alisson. Roma took the lead ten minutes into the second half as Kostas Manolas headed home Alessandro Florenzi's excellent cross. Toro struggled to react after going a goal behind, and with less than twenty minutes remaining, Roma doubled their lead as Daniele De Rossi reacted quickest as Toro failed to clear a free kick. In injury time, Roma added a third goal through substitute Lorenzo Pellegrini which was harsh on Toro, especially considering their promising first half performance. Torino will look to win at the Stadio Olimpico for the third time this season as they face Roma on Friday evening. Toro have already knocked Roma out of the Coppa Italia, whilst they also shocked city rivals Lazio 3-1 in the same stadium after Ciro Immobile received a first half red card. The Granata have not played for a fortnight after their home match against Crotone was postponed following the tragic death of Fiorentina captain Davide Astori. 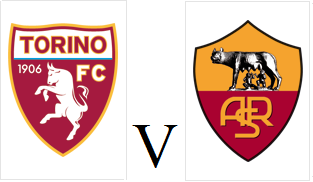 Roma come into this match in good form, after beating league leaders Napoli 4-2 at the San Paolo last Saturday - although Edin Dzeko is suspended for this game. Torino fell to a second successive defeat as they lost to relegation threatened Hellas Verona on Sunday afternoon. M'Baye Niang returned to the starting eleven, whilst Afriyie Acquah was preferred to Daniele Baselli in midfield. Toro made a poor start and were behind after only twelve minutes as Mattia Valoti headed home from a corner. The Granata failed to have a shot on target in the first half, with only Niang and captain Andrea Belotti even having half chances. Toro were level four minutes into the second half as a rapid counter attack involving the front three culminated in Niang firing past Nicolas in the Hellas Verona goal. Nicolas N'Koulou had a great chance to give Toro the lead, but the defender blazed the ball over the bar when well placed. Somewhat against the run of play, Hellas took the lead with thirteen minutes left, as Mattia Valoti scored his second of the game, reacting quickest after Salvatore Sirigu parried Bruno Petkovic's initial effort. Toro could not find a equaliser so fell to a second successive defeat, and with Sampdoria and AC Milan both winning, the Granata are now eight points away from the Europa League places. 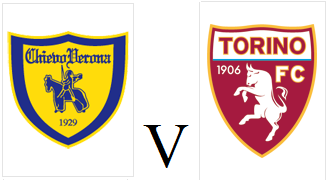 Torino travel to Verona on Sunday afternoon aiming to get back to winning ways after a disappointing performance in the Derby Della Mole last weekend. Toro will be without Cristian Molinaro who suffered an injury in training this week, so Antonio Barreca could return to the starting eleven. Brazilian defender Lyanco has also returned to the squad after his own injury problems. Hellas Verona are currently in the bottom three and are desperate for points having lost 7 of their last 8 matches. However, Hellas did pick up a surprise 4-1 away victory at Fiorentina last month. In the reverse fixture back in October, Toro threw away a two goal lead in the dying minutes to draw 2-2, so the Granata must be wary. Torino's miserable Derby Della Mole record continued on Sunday afternoon as the Granata fell to a 1-0 defeat. As expected, Walter Mazzarri chose to reinforce the midfield with Cristian Ansaldi coming into a 4-1-4-1 formation, and M'Baye Niang dropping to the bench. The away side were dealt an early blow when Gonzalo Higuain was forced off the field with an injury after an innocuous clash with Salvatore Sirigu. At the other end, Toro were struggling to create clear cut chances, but Andrea Belotti and Lorenzo De Silvestri did have half chances. Just after the half hour mark, Juventus did take the lead as Federico Bernardeschi crossed for Alex Sandro to convert. In the second half, substitute Paulo Dybala should have doubled Juventus' lead on two occasions, but the Argentine striker clipped his shot wide of the target and then blazed over the crossbar when well placed. Toro were once again unable to seriously test the Juventus backline, and whilst Iago Falque did manage a shot on target, it was easily saved by Wojciech Szczęsny as Torino were defeated by their rivals once again. 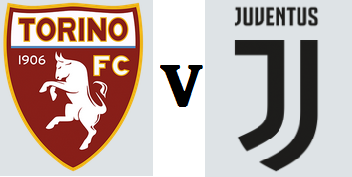 Torino will host neighbours Juventus in the Derby Della Mole hoping for only a second derby victory since 1995. 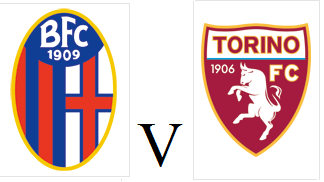 Toro's last win in this fixture came just under three years ago as the Granata came from behind to win thanks to goals from Matteo Darmian and Fabio Quagliarella. However, Torino did come close to beating Juve away from home last season, although were denied by Gonzalo Higuian's late equaliser. Walter Mazzarri is expected to utilise a 4-3-1-2 formation like he did to good effect against Sampdoria a fortnight ago, and that may mean that M'Baye Niang drops to the bench. Juventus are in imperious domestic form, having won eight consecutive games, and have kept clean sheets in their last five Serie A matches. However, Tuesday's Champions League game against Tottenham showed that Juve can be vulnerable, as 'The Old Lady' threw away a 2-0 lead to draw 2-2. Walter Mazzarri maintained his unbeaten start, and 100% home record as Torino coach with a 2-0 victory over Udinese on Sunday afternoon. Andrea Belotti returned to the starting eleven as Toro reverted to a 4-3-3 formation, with M'Baye Niang and Iago Falque completing the front three. Toro almost took the lead in the early stages, but Iago Falque's wide free kick rebounded of the crossbar. Nicolas Burdisso also came close to scoring, but the Argentine saw his header cleared off the line. Torino then had a lucky escape as Antonin Barak thought he had given Udinese the lead, but after consultation with VAR, the goal was disallowed. Just after the half hour mark, Toro took the lead as Falque's corner was met by an excellent glancing header from Nicolas N'Koulou. The Granata doubled their lead mid-way through the second half thanks to Andrea Belotti's sensational solo effort. The Toro captain ran from inside his own half before beating two Udinese defenders before finishing past Albano Bizzarri in the Udinese goal. Daniele Baselli missed a great chance to extend Toro's lead, but Torino held on for a third successive home victory since Mazzarri replaced Sinisa Mihajlovic. Torino will look to maintain their unbeaten record under coach Walter Mazzarri when they host Udinese at the Stadio Grande Torino on Sunday afternoon. Afriyie Acquah will miss out due to suspension after being sent off against Sampdoria last weekend, whilst captain Andrea Belotti is now fully fit and should start. Udinese have been one of the form teams in Serie A since Massimo Oddo took charge in November, however the Zebrette have only won one of their last five matches.